March 26, 2011 March 26, 2011 Dan O.
Boston accents always create a good movie. 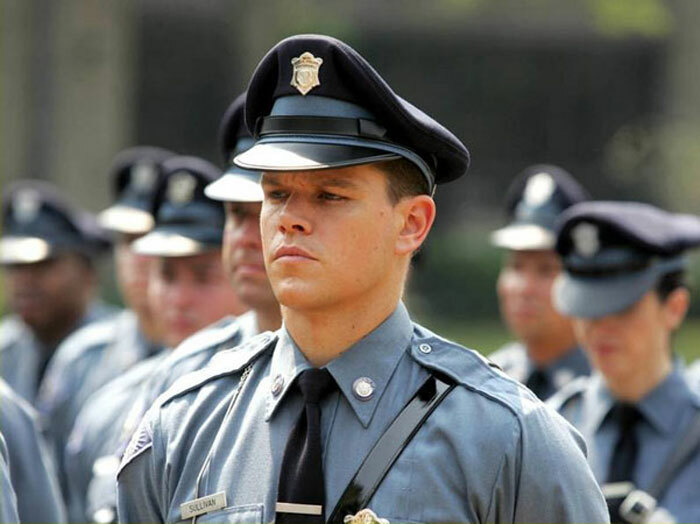 While an undercover cop (Leonardo DiCaprio) curries favor with the mob kingpin (Jack Nicholson), a career criminal (Matt Damon) rises through the police ranks. But both sides soon discover there’s a mole among them. Martin Scorsese is a man among men. He always knows the perfect way to tell a story, and show it with his only little trade-marks. And even though this is based pretty closely to a Hong Kong film, it is still no exception. Scorsese does a great job of keeping our attentions. This story gets a little crazy at points, but Scorsese handles it so well that we can’t help but to keep our eyes on the screen. That’s probably the best thing that Scorsese does, he can have anyone watch his film no matter how long, or sometimes ridiculous it may be. He has the perfect knack for capturing intense suspense and that constant moving back, and as well as the perfect tone for a gangster movie in the 21st century. There’s now cell-phones, texting, and internet, but not much has changed when it comes to gangsters, and Scorsese doesn’t lose his flavor. I think my favorite element of this movie was the script. Judging from this plot, you would think that this is totally a super cereal gangster drama, however, it’s got plenty of comedy to have you laughing the whole way through. I actually caught myself laughing at plenty of these one-liners and probably because they happen out of nowhere, and when the films trying to be the most serious it can be. There is also a lot of interesting double-crossing, and morality themes here as well that totally seal the deal on this package. The acting for the most part is actually pretty good here. Leonardo DiCaprio, as always does a great job with William Costigan Jr., keeping this film together with his signature toughness, with a tint of likability, that has us cheering him on the whole movie. Matt Damon is also good as Colin Sullivan, and is always good but he plays kind of a bad guy here and his decisions aren’t always the best, and you kind of start to hate him at points. Never thought I would start to hate him, but Matt sure can do it. Jack Nicholson plays mob boss, Frank Costello. He does a good job, but he doesn’t perfect the job which kind of had me a little bit disappointed, because with this role he could have totally been sweeping the Oscars. The problem is that he does a bit too much of ad-libbing, and over-acting, so we kind of get a little annoyed of his character and want him to do something a little bit more new, and cool. But he is still the man so don’t get me wrong. 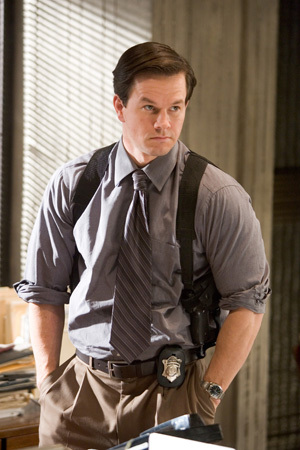 Mark Wahlberg got an Oscar nomination for his performance as Sergeant Dignam, and I’m glad he did because he really knocks his role out of the park. His character wasn’t even in the original film, so he had to basically make this character from scratch, and does a perfect job bringing so much comedy to this film, that he’s the character at the end of the film you probably remember the most. Vera Farmiga is also here and plays Damon’s love interest, Madolyn, and this is one of her earlier roles, and shows that she can hang with the big boys. There are others in this cast that are amazing such as Martin Sheen, Alec Baldwin, Ray Winstone, and randomly everybody’s favorite black man, Anthony Anderson. This film is very very close to being perfect but its big problem comes in its last 15 minutes. I think the whole film had so much steam in its story that when the end actually had to come around, it didn’t quite know where to go so it just sort of lingered around. The film spends a great deal developing these characters so perfectly and well, that it was just a shame that Scorsese let them practically fly out the window by the end. I wish the ending was better, but I still can’t lie it was suitable, just could have been better. Consensus: A fearless direction from Scorsese, perfect screenplay, and great acting makes The Departed a crime/mob classic for the ages. The ending may have not been the best way to go out for this film, but the whole film keeps your attention, and that is something that makes this a near-perfect film. One of my favourite films from last decade. Great review. I can see why too, thanks yo! I agree entirely with your analysis Dan, I was excited during this film and the ending really frustrated me because I wanted it to be better than it was. Although it doesn’t leave a lot of room for hope at the end, it does raise some important moral issues as you pointed out, which may justify a second viewing. It has some good points and its all good until those final last 15 minutes that couldn’t really do much for me. But other than that great stuff! I thought the ending of Infernal Affairs was better. In fact, I was a bit disappointed to see that an entire dimension of the Matt Damon character was written off because his ambiguity in the original was really the interesting aspect of his character. Nonetheless, still a very good movie by Scorsese and the cast. I haven’t seen the original but one of these days I definitely shall, but the ending could have just been all better, and almost felt like a Reservoir Dogs thing. Ending was the best part. What is your idea of a perfect ending? I can’t argue that Nicholson over-acted a bit at times, but i still couldn’t take my eyes off him. It’s a great film, up there with Scorsese’s best in my opinion. Infernal Affairs is equally as good if you get the chance. Great review as always! Scorcese is at his best and truly deserves Oscar for this film. Also notable are the performances of Matt Damon (such a great “bad-guy;” he really must do stuff like this more often), Leo DiCaprio, Jack Nicholson (as always), and Mark Wahlberg (best since Rockstar). However, some in the theater with me who had seen Infernal Affairs did say that Departed did not live up to the original.